Where is steel screw piles used? Steel Screw Piles are basically engineering technique which has evolved in the past few centuries. Since man has been building structures, he has realised the need of supporting them. They need support during the initial stages of construction or while the structures later need improvement or repairs. The modern screw piles add versatile as well as cost efficient tool to the toolkit of the civil engineers. Steel Screw Piles are considered to be latest development of tech pioneered by engineers for use on the lighthouse supports. 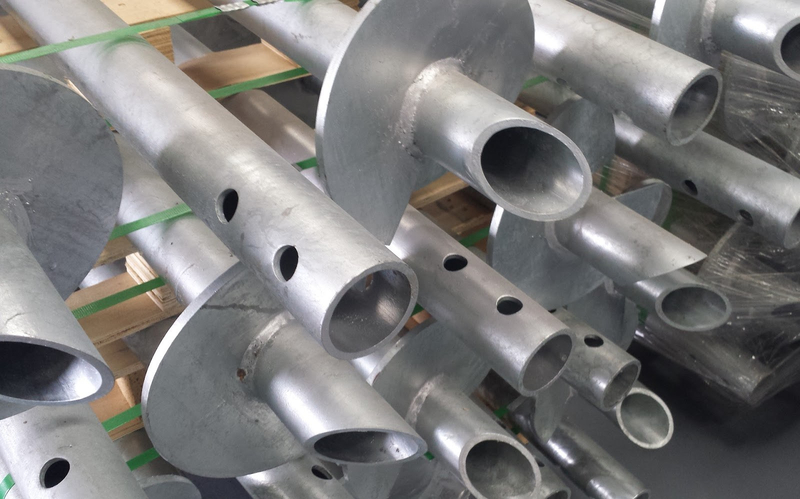 Today, they typically comprises of strong yet light galvanised shafts on which the low pitch still plate is welded. Thus, the resulting devices look similar to classic screws. On site, the screw piles are screwed easily into ground with the help of simple hand held machines or machine mounted drill equipment. The screw pile technology has helped the engineers with easy, compact ad portable technology for the sites which have different constrictions like tight project deadline, restricted access to the site and environmental disruptions which need to be kept well. Where is screw piles used? Some of the most typical uses include supporting roads and tracks, underpinning of the buildings, sloping stabilisation as well as mounting telecommunication tower. In most of such roles, the screw pile specific suitability for application with high overturn moment is absolutely invaluable. Uses of ground screws for constructing fences have been accepted widely since decades now. But still the use of screws for the decks hasn’t been embraced well. However, the innovative products provide significant benefit over the conventional pile and post. They have emerged considerably over the past few years with different varieties. The consumers are advised to either check with a good supplier or look for best screw types to be used with every application for avoiding risk related to using a screw. The ground screw goes far beyond the piles or the pile and post construction specifically for the homes handyman. The simple ground screw may be removed as well as repositioned easily unlike the piles. With absolutely no digging manual labour is eradicated. Screw Pile Installation has become important for various industries since decades. They help in construction of roads, tracks, etc. Their uses are unlimited and important.